Coffee has become a daily beverage of people around the world. Many new cafés are opened every day to meet the growing demands. Among many aspects that you need to research when opening or maintaining a coffee shop, furniture is really a crucial one. It clearly shows the café’s style. Whether you are a beginner who wants to find café furniture for your new coffee shop or a current owner looking for an inspiration, this article is for you. Be inspired by some famous coffee shops and their furniture, provided by ATC Furniture – one of the most trustworthy Asia furniture manufacturers. 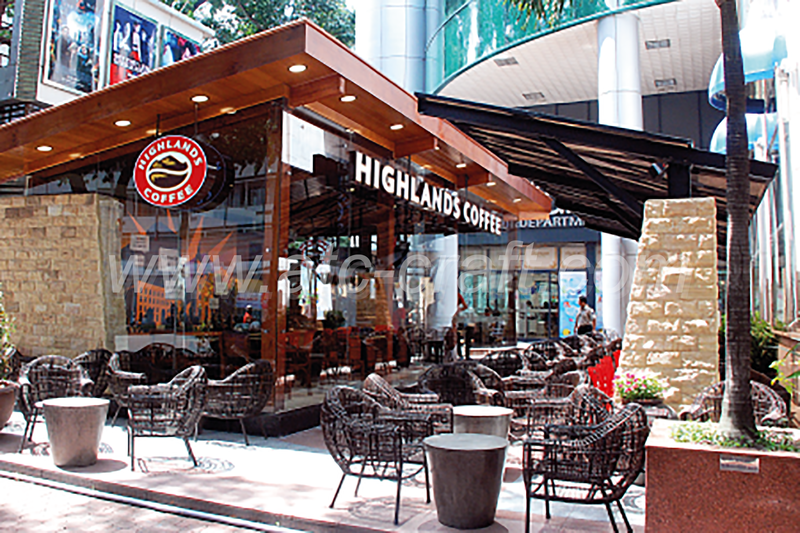 ATC Furniture has been a furniture supplier of Highlands Coffee – a popular coffee shop chain – for 5 years. 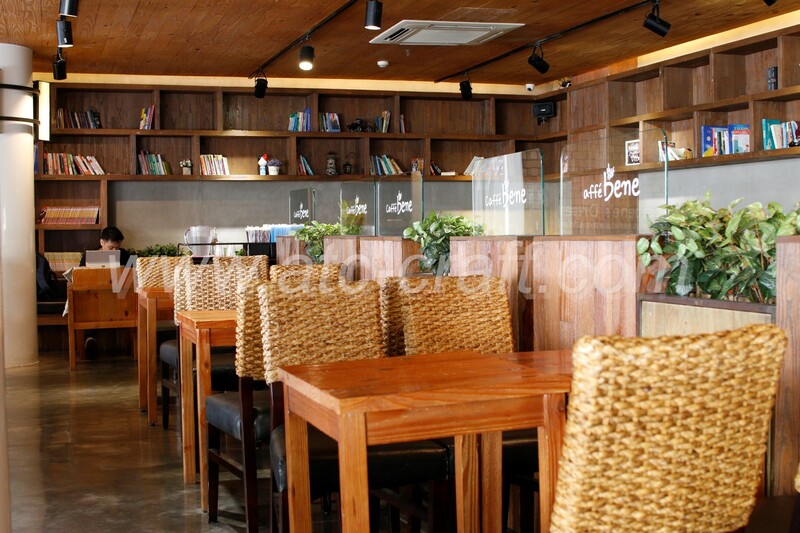 The traditional, wood brown tone of furniture well reflect the elegance of the café. The surroundings, including café furniture, are comfortable from the appearance to the experience. For indoor space, Highlands Coffee choose simple designed yet durable wicker chairs. The combination of red cushions on dark brown wicker represents the aesthetic of owners. These pieces of café furniture are functional, visually nice as well as long lasting. Similarly, outdoor areas are decorated with high grade poly rattan wicker furniture. Many Asia furniture manufacturers provide fine outdoor and wicker furniture for any outdoor spaces. PE rattan woven around durable powder coated aluminum frame form a stable and strong structure. Together with water and UV resistant cushion fabrics, the café furniture can easily withstand outside weather. If you like this mixture of tradition and modern, these pieces should be your preference. Black and white are never old. 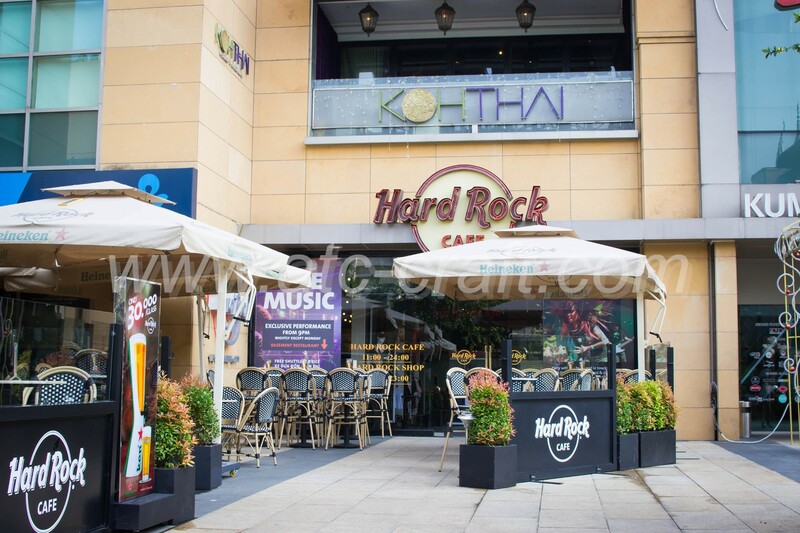 That might be the reason Hard Rock Café owners decorate their coffee shops with this awesome café furniture from ATC Furniture. This color combination can modernize the stores. The smooth black and white poly rattan weaved alternately create aesthetic outdoor chairs and high stools. Asia furniture manufacturers, especially ATC Furniture, choose high quality materials to produce this café furniture. Together with strong straight legs, the curve of the frame makes these chairs livelier. The thinness of chairs provides more space yet still keeps their durability and stability. The flat poly rattan wicker is sturdy and soft enough for visitors to comfortably enjoy their cups of coffee. This café furniture is best for store owners who want a touch of uniqueness to their cafés. Want a rustic look to your café? Water hyacinth wicker chairs can be a good option. The light brown of rattan perfectly blends in with the wood theme. We, like other Asia furniture manufacturers, made this furniture from superior materials including water hyacinth wicker, wood, and smooth fabric. The designs amazingly match with farmhouse style of Caffé Bene. This water hyacinth collection consists of both low sofas and high chairs for different usage. Single sofas are for close conversation and chairs for a formal meeting or individual working. You can decorate your own café with these and turn it into a multifunctional coffee shop. The rattan is durable, the frame is strong and the seating is comfortable. For a country style coffee shop, this wicker furniture is something you shouldn’t miss. 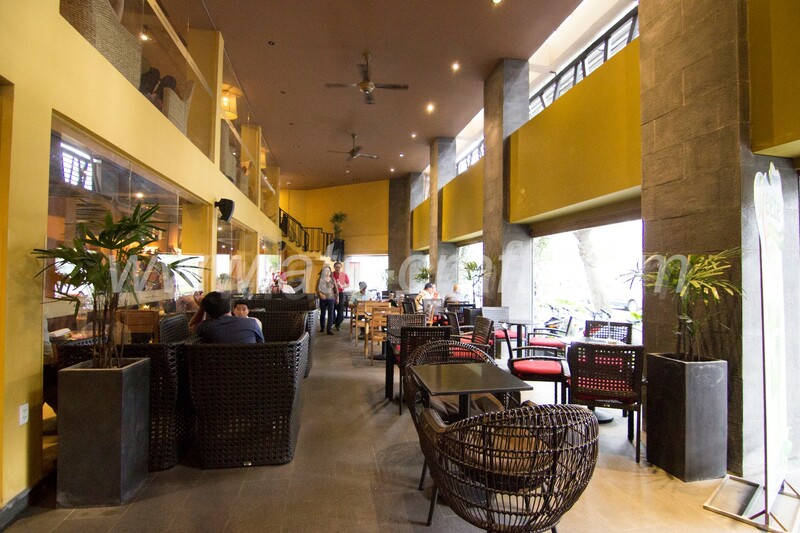 Those above are some famous coffee shops that show the owners’ aesthetic through the café furniture. Still cannot imagine how these would come in reality? Watch this short video of ATC Furniture setting up Highlands Coffee’s store with poly rattan café furniture for more ideas. 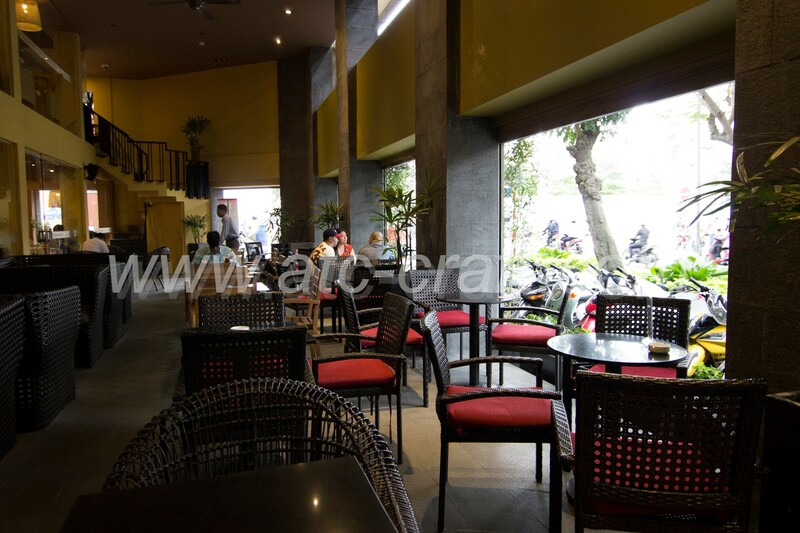 With this, ATC Furniture hopes that you can have the inspiration to decorate and furnish the café showing your style. 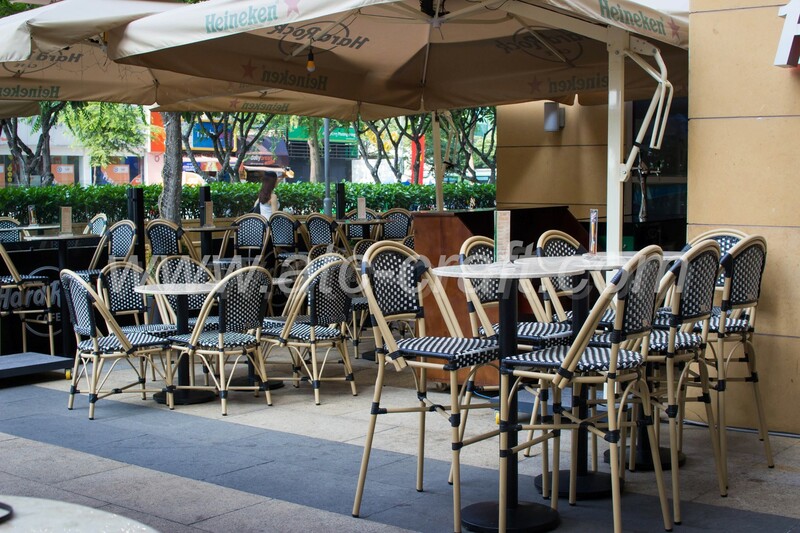 Come to us for high quality indoor and outdoor café furniture.